Certifications are an enhancing component of your resume with well-formed added skill set. It is important in terms of getting rewards too. 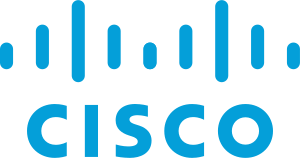 There are hundreds of IT related certifications that are now available, however Cisco is still one of the most recognizable worldwide certification. Cisco has created the certification process to give administrators a set of skills and to equip prospective employers with a way to measure skills or match certain criteria. Becoming a Cisco Certified can be a crucial step of a successful journey toward a new, highly rewarding and sustainable career. Cisco certifications are widely respected in the IT industry and some of the most sought after certifications available in the IT field today. Cisco Certifications bring valuable, measurable rewards to network professionals, their managers, and the organizations that employ them. The Cisco learning bundle is a complete resource for all your Cisco training. This bundle will give you the skills needed to master the CCNA and CCNP suite of certifications. The topics covered in these courses align with the exam objectives as published by Cisco. When you have completed these courses you should be well prepared for the industry-standard Cisco CCNET, CCNA, CCNP and CCDA certification examinations. Our online programme is well designed that you feel same as you are in the classroom. This course is comprised of professionally narrated e-Learning modules, interactive quizzes, and mock exams. All delivered through a system that you will have access to 24 hours a day, 7 days a week in 365 days (12 months). Effective support service, and study materials including step by step guided tutorial videos build your confidence to study well and guide you to secure your qualification. This online training course bundle is comprehensive and is designed to cover the following key topics are listed under the curriculum by referring to CCNET 100 – 101 ICND1, CCNA 200 – 101 ICND2, Security 640 – 554 IINS, Voice 640 – 461 ICOMM, and Wireless 640 – 772, CCNP 300 – 101 RUTE, 300 – 315 SWITCH, and 300 – 135 TSHOOT and CCDA 640- 864 official exams. This course has been designed for 180 guided learning hours. CISCO 640-461: CCNA VOICE - ICOMM V8.0 - CISCO VOICE AND UNIFIED COMM. ADMIN. SPECIAL NOTE: This is not included official Exam and you need to purchase exam separately. Please contact our Help Desk for further information. This qualification is appropriate for those with at least one year of networking experience who are ready to advance their skills and work independently on complex network solutions. Those who achieve CCNP Routing and Switching have demonstrated the skills required in enterprise roles such as network engineer, support engineer, systems engineer or network technician. No questions or answers found containing ''. the 100-101 has been replaced, is this course relevant for 100-105? Kindly refer the course curriculum in the course description for further details. This was helpful. Thank you for your feedback. How much do the assessments cost once you've done the course? Dear Turesh, This online training course bundle is comprehensive and is designed to cover CCNET 100 – 101 ICND1, CCNA 200 – 101 ICND2, Security 640 – 554 IINS, Voice 640 – 461 ICOMM, and Wireless 640 – 772, CCNP 300 – 101 RUTE, 300 – 315 SWITCH, and 300 – 135 TSHOOT and CCDA 640- 864 official exams. This course has been designed for 75 guided learning hours. The official exam must be purchased separately. Guidelines will be provided by provider, Best Regards, Student Support Team.